Trivia University - Hours 1-3 from UTVS Television on Vimeo. 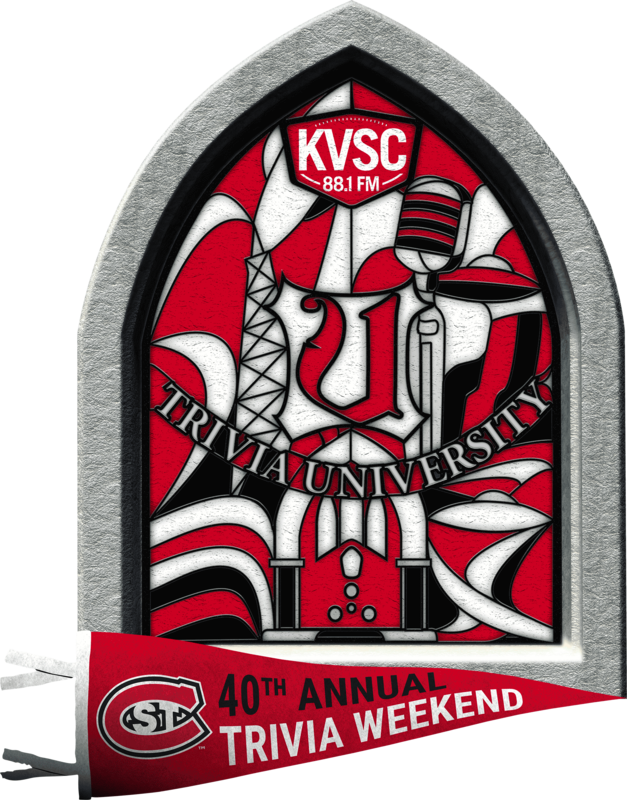 UTVS works hand-in-hand with KVSC 88.1 during Trivia Weekend in February to put out 50 hours of trivia along with live television. There is a lot of variety seen over the course of the weekend, as each show is slotted for a different time where they host segments as well as create fun videos for those exhausted trivia players! This year's theme is Trivia University For this, the 40th annual competition, we are diving deep into the magical world of Trivia University. All volunteers are fed by more than 40 local sponsors who deliver food every hour. If you volunteer for more than 15 hours, you get a free Trivia University t-shirt. For more information about KVSC 88.1 FM Trivia University, visit KVSC.org. For more information about UTVS Television, visit UTVS.com.